Autonomous cars used to be as futuristic as flying cars, but car companies like Ford and Volvo are spending the profits they make from conventional cars on machines that will bring that future closer to now. 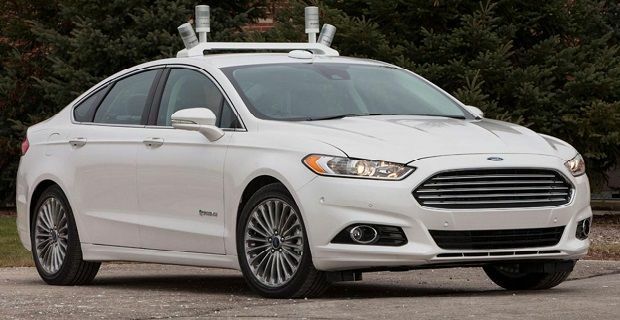 The Ford Fusion Hybrid research vehicle is the American car maker’s introduction to the concept of self-drive cars and part of the firm’s Blueprint for Mobility. Ford’s Blueprint for Mobility is the firm’s programme that is aiming at a future of autonomous cars and other advanced technologies. The new tech is being developed in collaboration with State Farm and the University of Michigan and builds on decades of research carried out by the Detroit car maker. Ford are currently in a race with the Google Chauffeur and Volvo Drive Me projects to get to automated cars first. They have a headstart because they offer a lot of assistance technologies in their current line-up. Today’s Ford vehicles can park themselves and understand voice commands. Detecting dangerous situations and helping during emergency braking are also features offered in the current line-up.